It’s Friday which means it’s time for another Feature Friday at Concord & 9th! 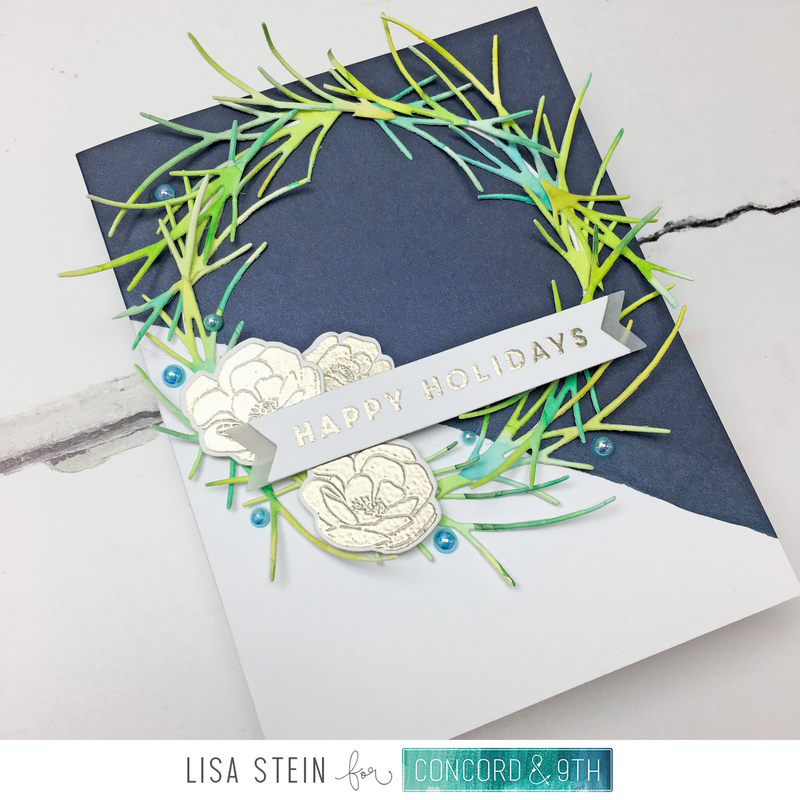 Today the team from Where Creativity Meets C9 is showcasing the fun So Happy For You stamp and die sets. Using my Zig markers in greens and aquas, I made blocks of colors on some watercolor paper. Used both the large and small needle foliage die to cut shapes from that watercolor paper. Using the hoop die, cut a piece of scrap white paper to use as a base for the wreath. Used a liquid glue to adhere the die cuts to the hoop shape. I have no tips for this, ha. Just go to town. It will look gorgeous no matter what you do. 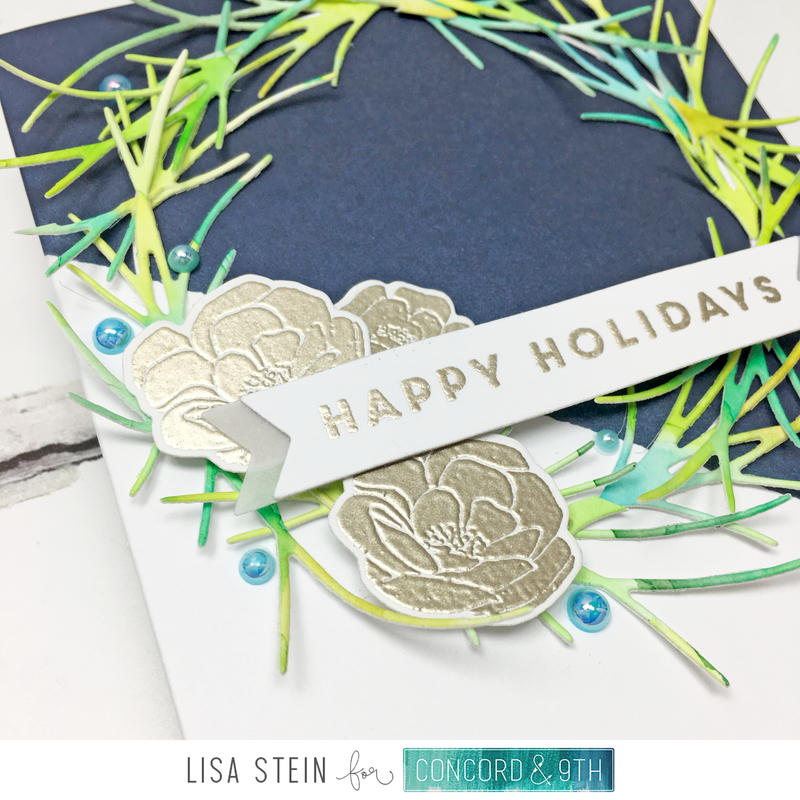 Stamped the floral images with versmark and embossed with platinum embossing powder. Used the coordinating dies to cut those out. 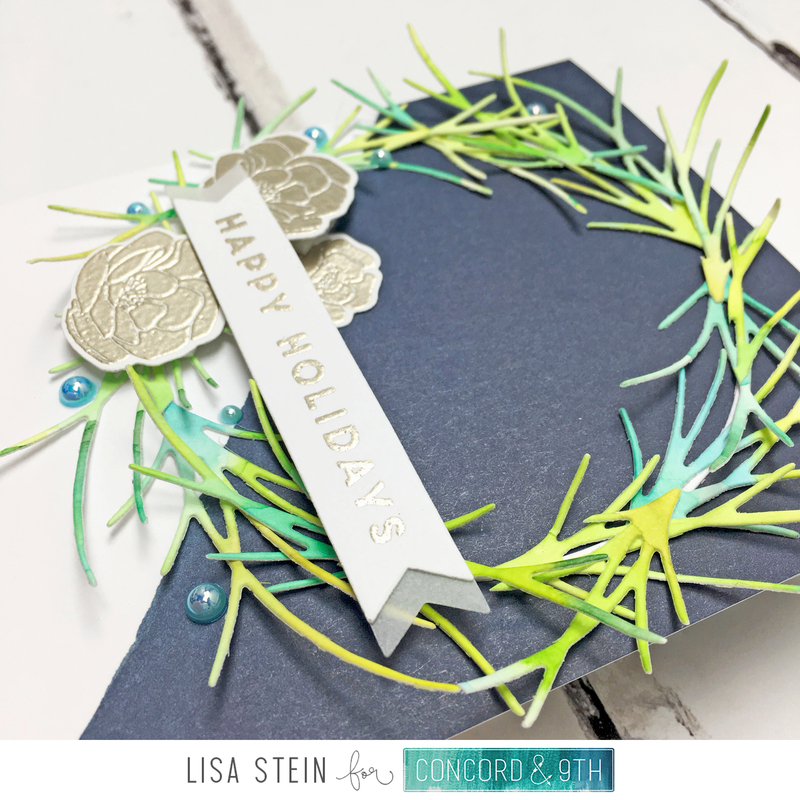 Stamped the greeting with versamark, and embossed with that same platinum embossing powder and heat set. Die cut that with the banner die from Top It Off. Cut another banner from vellum, and used that to extend the length of the banner to fit across the wreath. Used foam adhesive to adhere the flowers and banner. Finished it off with some pearl embellishments. Here’s a close up so you can see all of the dimension from these die cuts. I absolutely love it. I’m not sure why, but dimension like this really makes me happy. It’s like playing with a puppy. Ha!